An apple a day keeps ageing at bay because chemical in the peel prevents muscle wasting, new research finds. Scientists have found chemical in apple peel can prevent muscle wastage. Muscle wastage in old age is usually caused by a protein called ATF4. Researchers found chemical in apple peel and green tomatoes prevent this. An apple a day can keep ageing at bay according to new medical research which could help prevent muscles wasting away in older people. A chemical found in the peel of apples can turn elderly people’s muscles into those of a young adult after just two months of treatment, claim scientists from the University of Iowa. They said both apple peel and green tomatoes have natural chemical properties which could turn back time for tired older muscles. Now the researchers hope the discovery could lead to new therapies targeting pensioners and other older adults enabling them to keep fit and active for longer. Muscle wastage in old age is caused by a protein called ATF4 which changes the formation of genes, starving muscles of the proteins they need to stay strong leading to a loss of mass and, subsequently, strength. But it seems two natural compounds can reduce ATF4 activity, scientists from the University of Iowa told the specialist Journal of Biological Chemistry. One of those is ursolic acid, which is found in apple peel, and the other is tomatidine which comes from green tomatoes, said Christopher Adams, professor of internal medicine and lead author of the study. Via dailymail.co.uk. Can Apples Naturally Reduce Asthma and Lung Disease Symptoms? The fact is a result of a study performed with 2500 Welshmen between the ages of 45 – 59. All were diagnosed with either asthma, COPD, lung fibrosis, or other lung disease. Now, the victims of asthma or lung disease have a natural way to battle their illness … eating apples! The researchers divided the men into groups according to their height, weight, the number of apples they ate per week, the number of calories they consumed, and whether any of them smoked or exercised. The researchers then measured the amount of air that each one was able to exhale in one second. The results? The men who ate 5 apples or more per week were able to exhale 138 millilitres more air than those who ate no apples. The researchers concluded that eating apples decreased the amount of obstruction found in the lungs and bronchial passages. Other research backs up this finding. There are several reasons for apples’ protective effect on the lungs. 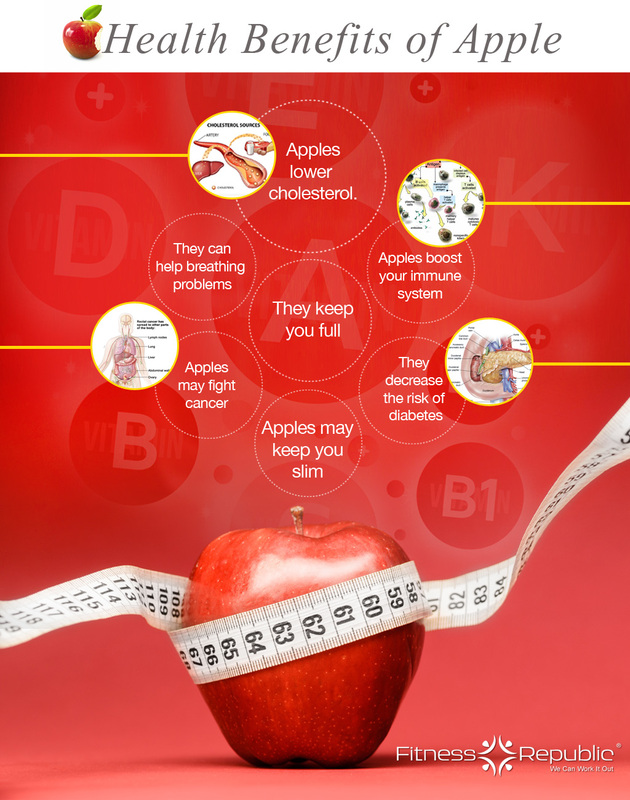 Apples have a high content of the bioflavonoid called Quercetin. Quercetin acts as a anti-inflammatory and anti-allergic medication in the body. It inhibits histamine and leukotriene. These are pro-inflammatory molecules that create the vasoconstriction and bronco-constriction that precipitate asthma attacks. 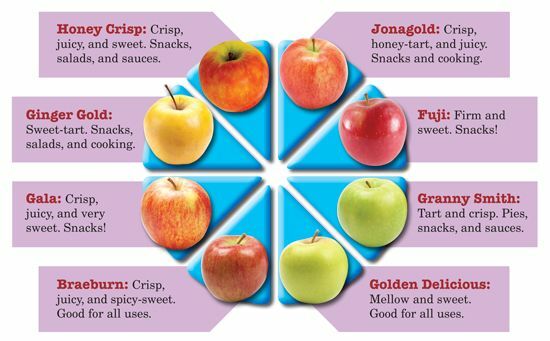 In addition, did you know that there are over 450 different nutrients in a fresh apple? Just about every nutrient that you can think of. Caution! Eat only ORGANIC apples! Conventional apples have the highest level of pesticide contamination of all the fruits we eat. Via The Good Health and Wellness Blog. This fiber has been shown to reduce intestinal disorders, including diverticulitis, hemorrhoids and possibly some types of cancer. Helps control insulin levels by releasing sugar slowly into the bloodstream. Cleanses and detoxifies, which helps eliminate heavy metals, such as lead and mercury. 5. Apple cider vinegar can help prevent the formation of kidney stones. Apples are packed with vitamins C, A , and flavonoids and with smaller amounts of phosphorus, iron, and calcium.